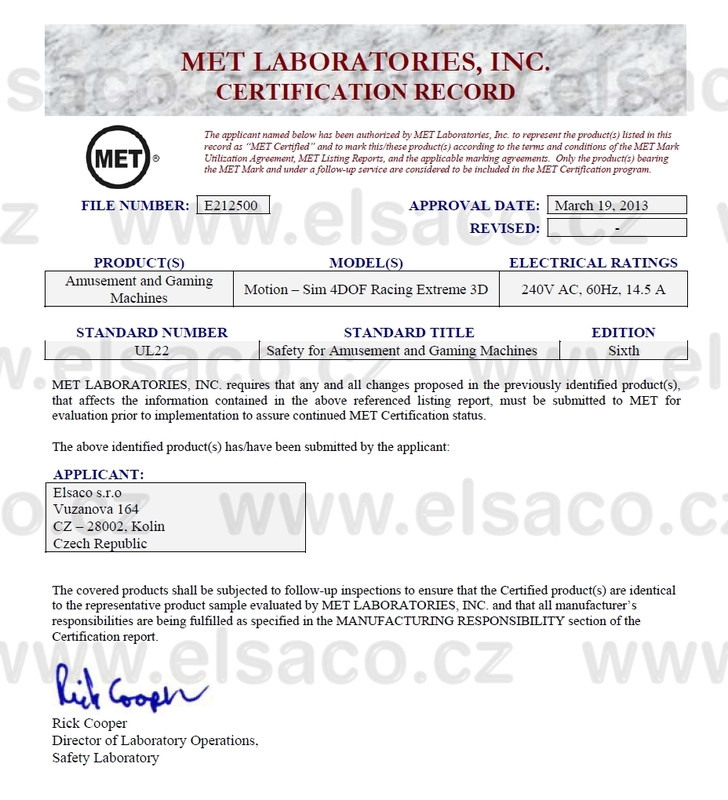 Our simulator received MET certificate (extended UL certificate), which proved the quality of treatment and now nothing prevents sale in America. 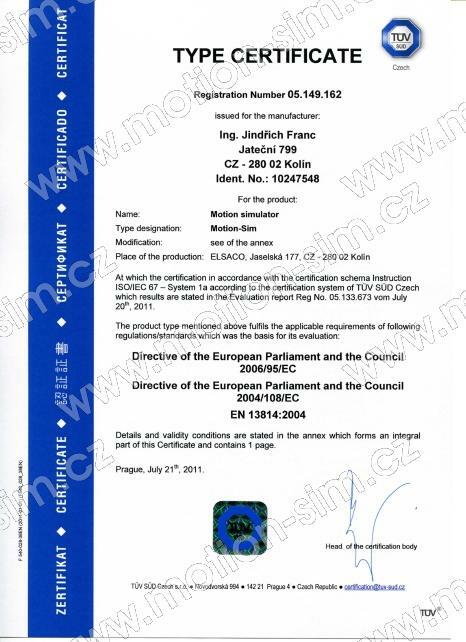 The certificate confirms that the simulator meets the necessary standards for use as a popular entertainment facilities in the Czech Republic and the European Union. 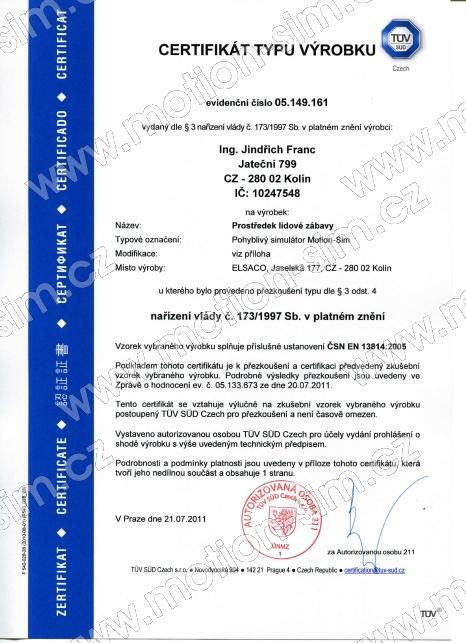 The certificate is available in English and Czech version. 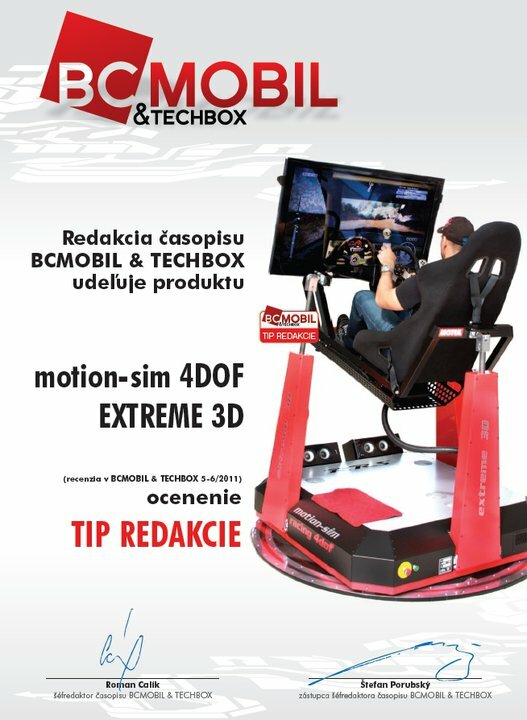 Editor of the magazine BCMOBIL & TECHBOX had a chance to test our simulator for real. 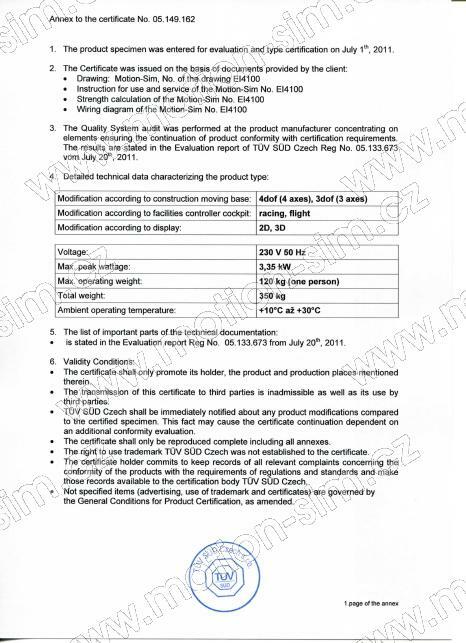 He wrote about an article he called ”True hell behind the wheel“ and which appeared in the BCMOBIL & TECHBOX 5-6/2011. All prepaid (also new) received from the editors present - a free ride in our simulator for our Slovak colleagues. So enjoy it! 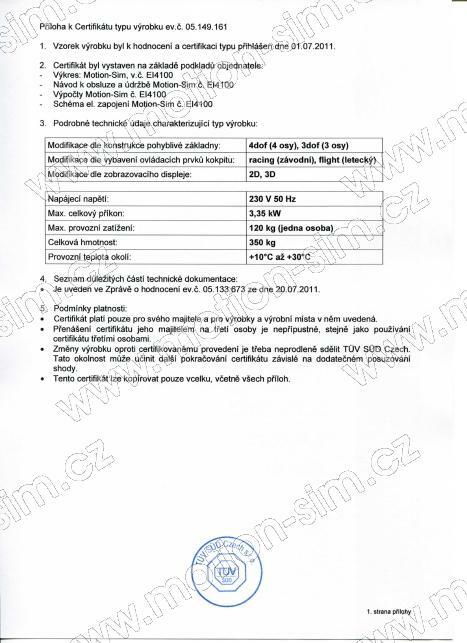 And how test of simulator ended up? You can (by courtesy of the author) read the article here. 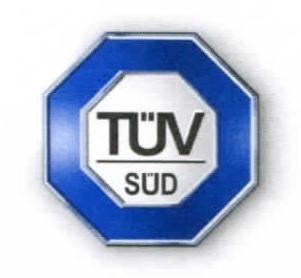 This award may indicate something.